Stone Goddess Figure, from Rapa Iti (Little Rapa), Austral Islands. A large piece, reminiscent of the bold style of Big Rapa (Easter Island) which was collected by Joseph Louis Marcillac (1870-1943) in 1917 near the village of Area. (Price on Request). Professor Donald C. Johanson, Author, Founding Director, Institute of Human Origins, Arizona State University, discoverer of "Lucy", Hadar, Ethiopia, 1974. We had a lively discussion as to early man tools, and of his experiences in Ethiopia. Check out the photo with Lucy on the cellphone of her discoverer! 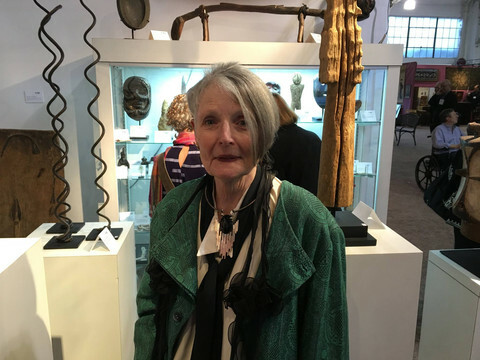 Cathryn Cootner, Emerita Curator of Textiles, De Young Museum, and noted author and collector. 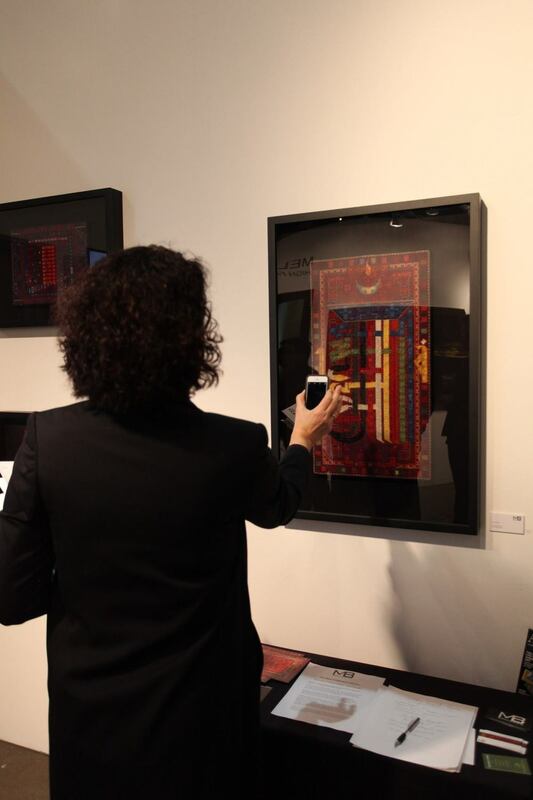 Cootner conducted a much in demand tour of notable works at the show, and visiting our booth spoke insightfully of contemporary textile art, referencing another contemporary textile pioneer, Leonore Tawney (1907-2007) a close friend and colleague of Haag. Daniel Shaffer, London based Executive Editor at Hali, the flagship of fine textile media and scholarship, and of Cover, the sister publication devoted to contemporary textiles. Shaffer spoke of the invigorating effect the best of contemporary textiles can have on the international tribal market. We were delighted to finally meet Shaffer. 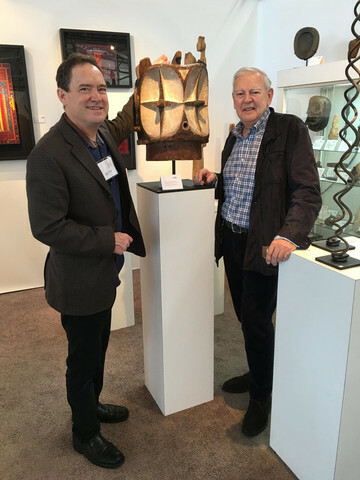 Aulisio has conducted illuminating interviews with some of the most influential persons in the tribal art field. Aulisio focused his attention particularly on our booth's stone pieces. Sam Singer gave a terrific presentation at a well attended panel discussion at Fort Mason's Firehouse, Sunday. We were delighted to have the Singers' visit. 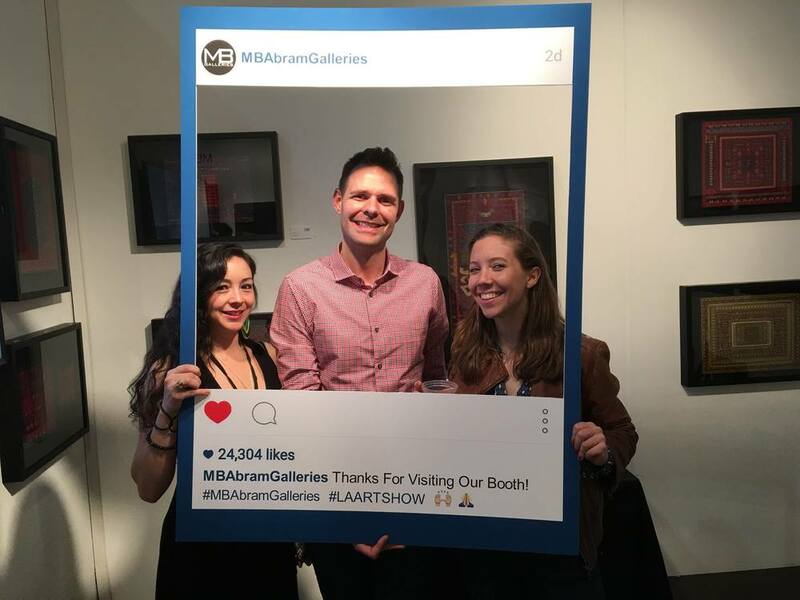 We had the honor of exhibiting the Jan Haag Needlepoint Collection in the Los Angeles Contemporary Art Show, Jan 27-31, 2016 to an enthusiastic response. 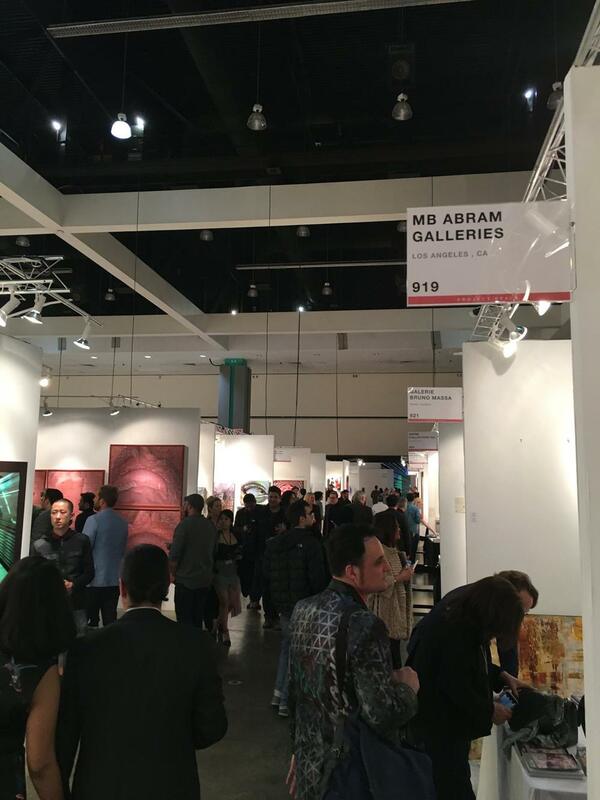 This international show held at the LA Convention Center drew 70,000 collectors, dealers and friends of the arts this year. 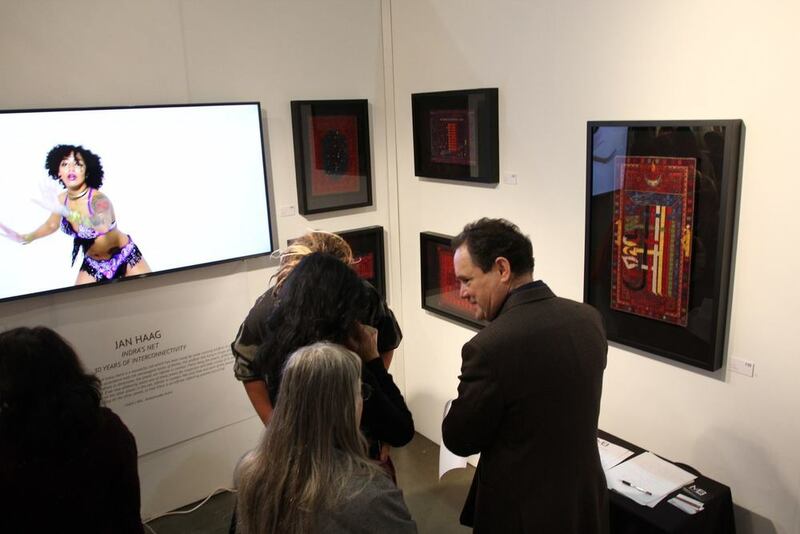 As part of our exhibit, we showed "Indra's Net", the most recent of more than 40 artist interpretations of the Jan Haag Needlepoint Collection. "Her sun's in Sagittarius, she's an Archer, and fires searing flames into her work, whether art, poetry, novels or drama. To experience what she has done with whatever she's undertaken is to witness the fierce artistry of a woman madly in love with her creative gifts. Passionately in love with their unfolding discoveries. Examining her Needle Point Art is like being given a cosmic view of an untold mystery. 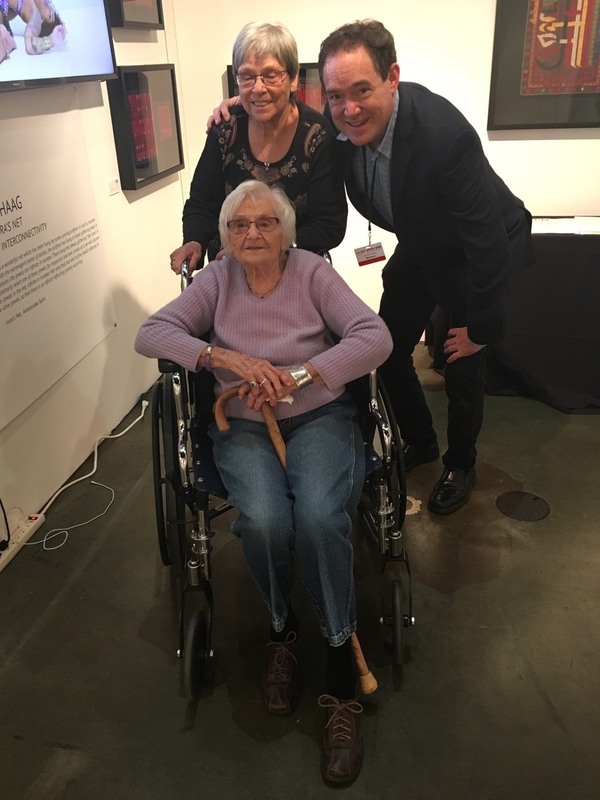 Recently more than 40 artists from around the world gathered in downtown Los Angeles to celebrate Jan Haag, and her unprecedented achievement in creating the Jan Haag Needlepoint Collection. 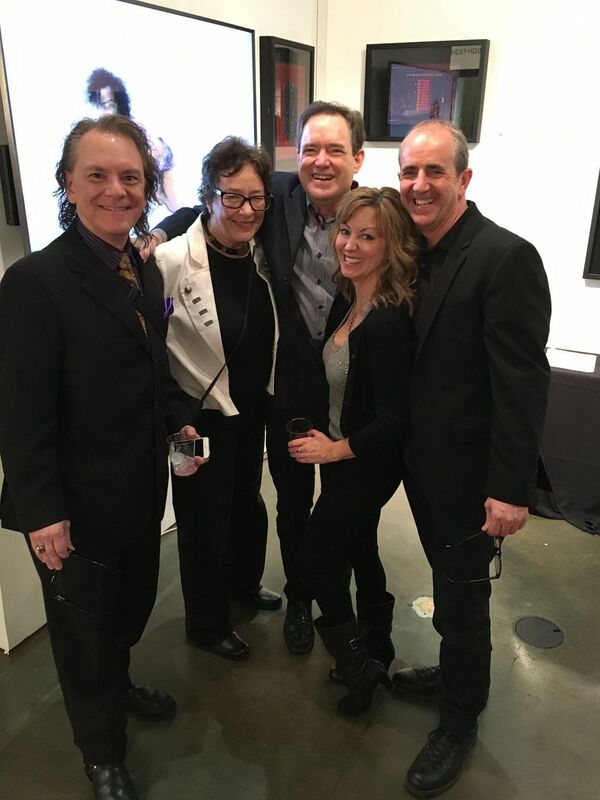 Haag made a rare public appearance and was feted by performances, paintings, photographs, sculptures, mixed-media, videos, films, sound works and other forms, all submitted by artists in Jan Haag's honor. Sedi Pak was born in Korea and spent her early years living in the middle east, Europe and South America before her family settled in the United States. Her early peripatetic experience helped develop a heightened awareness of self and her place in the world. She began painting, sculpting, creating at a young age, finding consistency in creation amidst a constantly changing environment. Sedi Studied at Parsons School of Design in New York and currently lives and works in Los Angeles. She has successfully directed large commercial design projects here and abroad. Her work as an experimental artist is widely appreciated. Collaborative work by Sedi Pak and members of Dirty Girls Project; Casey Massimino, Aleeza Solowitz, Harper Willat, Amber Willat, and Jane Derryberry. DP by Jared Dostie and Camera Operator, Mike Taub.COLLAB documents a spontaneous ritual performed by six women. The inspiration for this collaboration was the desire to reassign objectification of the female form, from a sexual object to a tool of expression: a paintbrush, a pallet knife... The female body is the vehicle for creation. The canvas stands as an artifact of the experience. The women shared an affinity that moved them to affect each other and blur the role of painter and subject. His solo work has been described as "Brilliant" by Michael Cuscuna of Record World magazine. "An alchemist's experiment" and "futuristic, mystical" by Philippe Oreille of Dauphine France. Titus Levi of Contemporary Keyboard commented, "With Lisztian abandon, Robinson is obviously at home in free-form atonal music while maintaining both his classical and his jazz roots". Robinson plays on a refractor piano, invented by Robinson and Klaus Hoch. Lisa Borgnes Giramonti is an artist and writer based in Los Angeles. In 2013 the Huffington Post declared her one of "Five LA Women Artists to Watch" -- in their words, "She melds the lost art of needlepoint with a Dorothy Parker-like sensibility." Her work is in many private collections including Soho House Hollywood. Her 2010 solo show at the ACME Gallery in Beverly Hills was featured in the LA Times, Angeleno Magazine, C Magazine and other art journals. Lisa’s lifestyle/design blog “A Bloomsbury Life” about living a modern life through an Old World lens, attracts over 50,000 unique visitors every month in over 140 countries. Her design book, “Novel Interiors”, in which she shows readers how classic novels can inspire your decorating style will be published December 2nd by Random House. 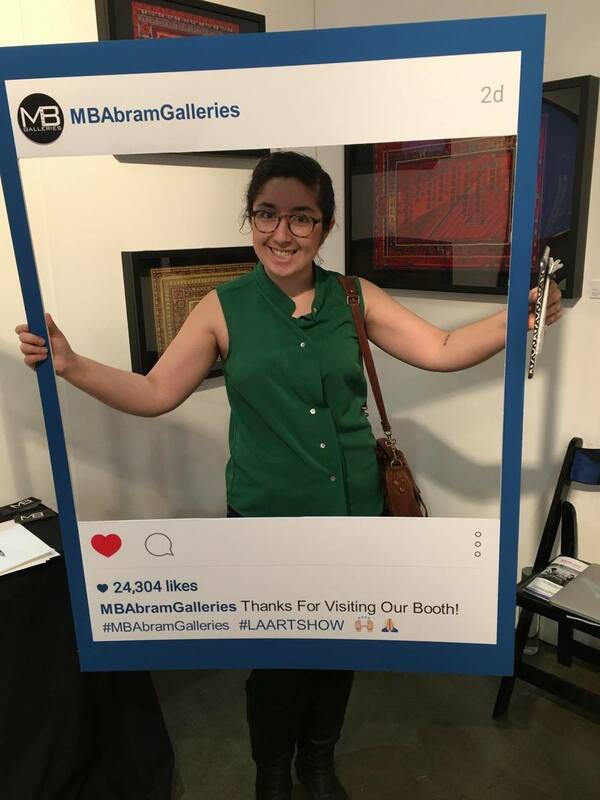 "TWO MASTER WORKS ON VIEW "
Known and beloved by Los Angeles artists and gallerists alike for her work as Director of Downtown Los Angeles Art Walk, Brehm's professional talent as a creator of monumental decorative murals and installations has long been admired. This work, bringing to bear the artist lively humor and sense of irony, illustrates Brehm's unusual eye and skill in combining sculptural, painterly and photographic techniques. Born in Würzburg, Germany, now living Munich , Bruckner studied at Städelschule, Academy of Fine Arts, Frankfurt. 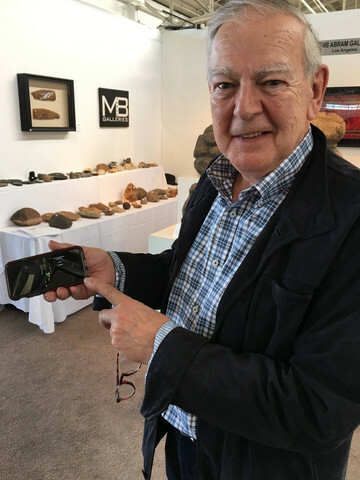 Fluent in Icelandic, influenced by the Norse sagas, and prehistoric sculptural forms, Bruckner has shown his work in a number of exhibits and Happenings in Germany. In the present painting, Bruckner reaches into primordial forms, evoking emotions of the past and future. Michael Farhat is a Los Los Angeles based artist and illustrator. Farhat's portraits on plexiglass have sold to superstars Blake Griffin, DeAndre Jordan, Chris Paul, Deron Williams, and others. He is presently collaborating with Nick Cannon on a children's book and is completing a major commission in a mansion in the Hollywood Hills. The process for Farhat's mixed-media works on plexiglass is complex, the artist working in reverse from the back of the piece, using free hand stencils, collage materials, and spray paint. He is a pioneer in this medium, recognized in feature stories in Yahoo and many other media. A serendipitous photo of an ironworker working on the construction of the Walt Disney Concert Hall in Los Angeles led Gil Garcetti to a new career. Gaining access to the site and photographing the ironworkers' skillful and artistic work led to a book in 2002, IRON: ERECTING THE WALT DISNEY CONCERT HALL. With this book, Garcetti wished to salute the construction workers, whose intricate curved, bent, and angled steel work would soon be covered over by stainless steel - and their work forgotten. Through his photographs he also wished to share the beauty of the geometry of the raw steel and to add to the pictorial history of the city of his birth, Los Angeles. Garcetti’s subsequent six books have all been photo essays. His book, DANCE IN CUBA, shows the ardent spirit of the Cuban people through their dance, despite lives of extreme poverty. WATER IS KEY tells the story of how clean water in villages in West Africa changes the lives, health, education, and destiny of the people there, especially that of women and girls. PARIS: WOMEN ON BICYCLES, shows elegantly clad women bicycle riders finding the joys of efficient, timeless transportation without the pollution of the modern automobile. Garcetti’s photos have been shown at The United Nations in New York, UNESCO in Paris, the National Building Museum in Washington, D.C., the Fowler Museum at UCLA, and the Millennium Museum in Beijing. 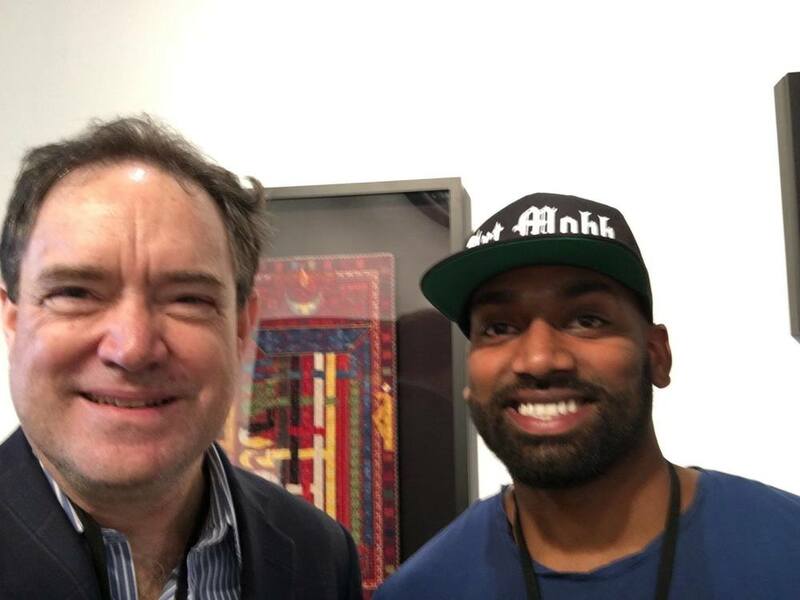 Hamill is associated with Hamill Gallery and MarkMaker Press, Boston, which collaborated to produce the photographic show "Bhairava", an exhibition of photos from India. An international architect who was influenced in his formative years by the work of Frank Lloyd Wright and Paolo Soleri, Tanaka has designed residential and commercial projects on several continents. Presently working on the design for the new LA subway and train systems (Metro Regional Connector) this is another in a long line of work that Tanaka has done transforming forever the LA Basin. In 2000, Tanaka’ s LAX beautification project with its electronic pylons and LAX sign became instant LA icons. Tanaka and his wife Masako Unoura Tanaka have been deeply involved in relief efforts following the Japanese tsunami of 2011. Tanaka’s original drawings, paintings, and cut-outs show that his gift in architecture have deep roots in other visual arts. In studying Jan Haag’s Kalachakra, Tanaka perceived the geometry of her work, a feature which he works with every day in his own. Tanaka’s cut out is a tribute to this aspect of Haag’s work. 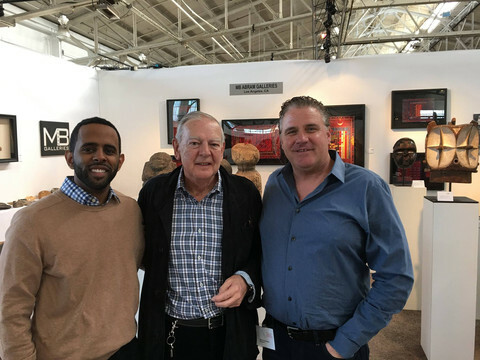 "The Haag Needlepoint Collection, Roverius Ansigar Auctioneers, Auction Catalogue, Edition of 7"
A London artist provides the catalogues for two masterworks at auction, 13 November, 2019, Amsterdam.